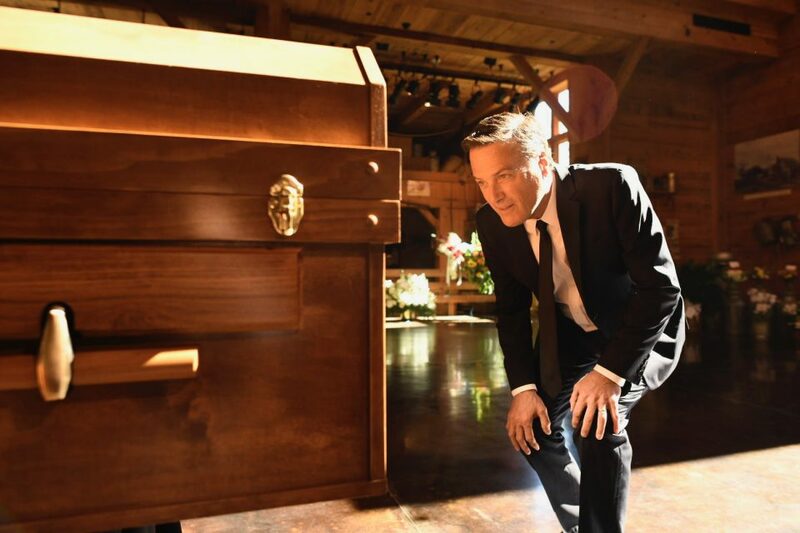 Of the 2,300 guests who attended Billy Graham's funeral on Friday, March 2, many knew him personally, including Grammy award-winning Christian artist Michael W. Smith. 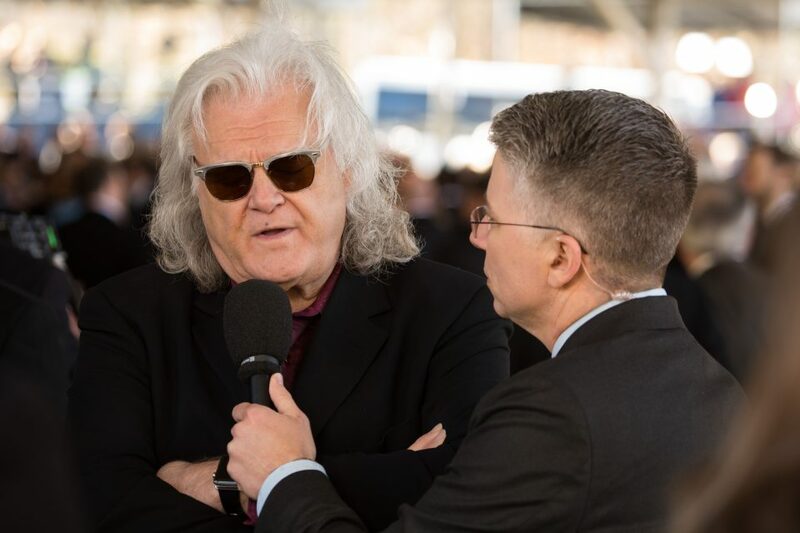 He has been a longtime friend of Mr. Graham's and has performed at many of Franklin Graham's Festivals. In recent years, Mr. Graham talked with him a lot about heaven. In turn, he wrote a song called “Take Me Home,” inspired by Mr. Graham’s longing for eternity. The song is a conversation Mr. Graham might have had with Jesus when he went to his eternal home on Feb. 21. 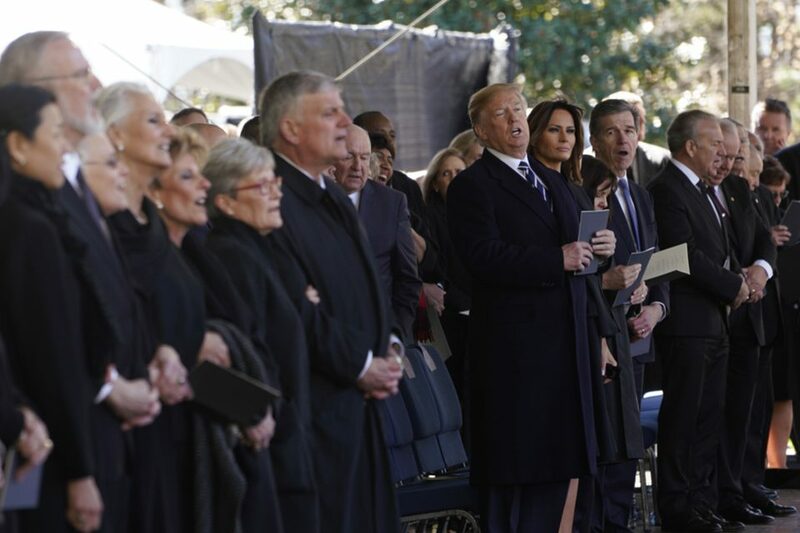 President Donald Trump and first lady Melania Trump, along with Vice President Mike Pence and his wife, Karen, attended the funeral to pay their respects to the Graham family in honor of the man who was often called the "Pastor to Presidents." Dr. Don Wilton served as Mr. Graham’s pastor and was a close friend the past several years. 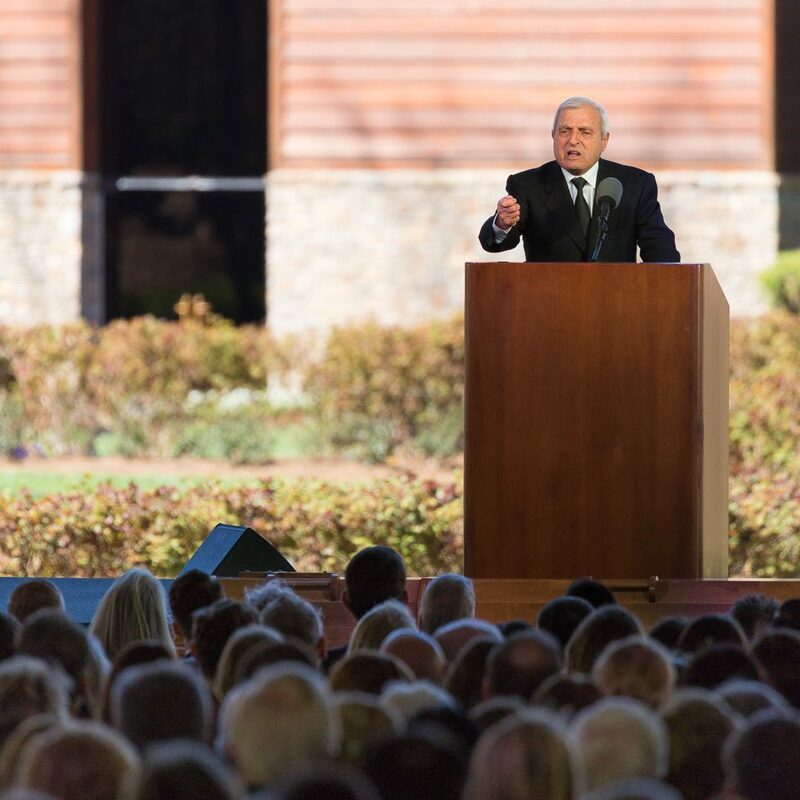 Dr. Wilton said, "[Billy Graham] didn’t just talk about the love of God, he lived it in the very fabric of his being." 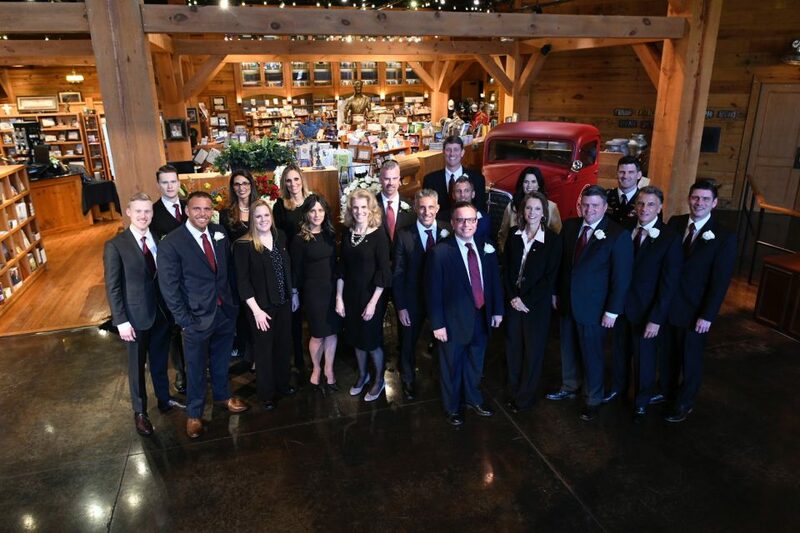 All 19 of Billy and Ruth Graham's grandchildren remember the well-known evangelist as their beloved grandfather. "His greatness really is from his humility," said Sami Dagher, a pastor and church planter in the Middle East. 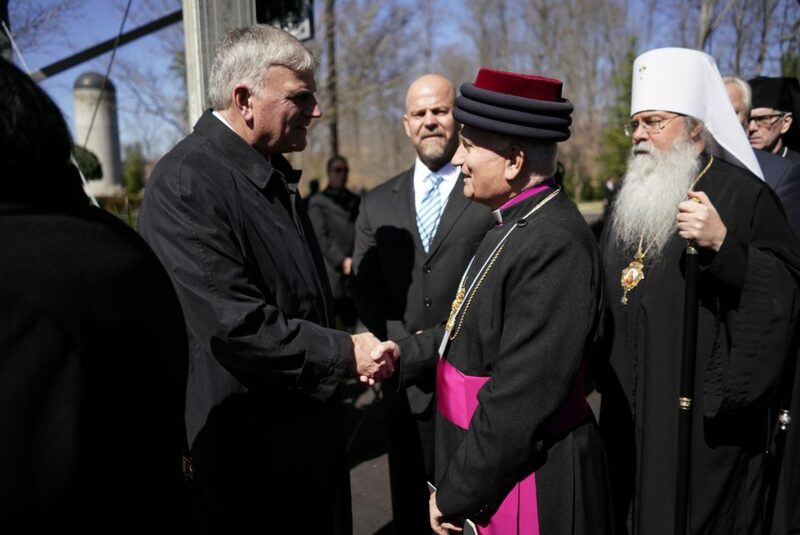 Franklin Graham talks with His Grace Archbishop Mar Aprim Khamis and His Beatitude Tikhon, Metropolitan of All America (middle) and Canada Archbishop of Washington, Orthodox Church in America (right). 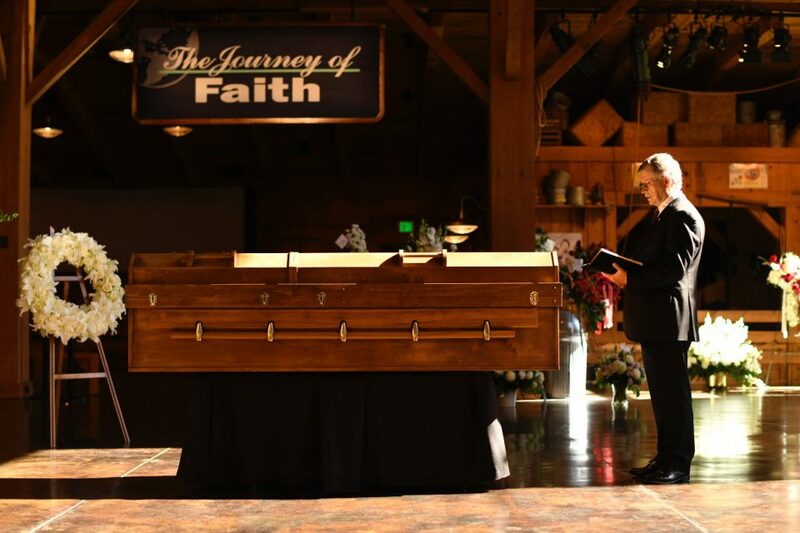 At Mr. Graham's funeral, Pastor Rick Warren, who admired the simplicity of the global preacher, said, "Billy never lost his farm boy roots, but more than that, he realized his total dependence upon God." 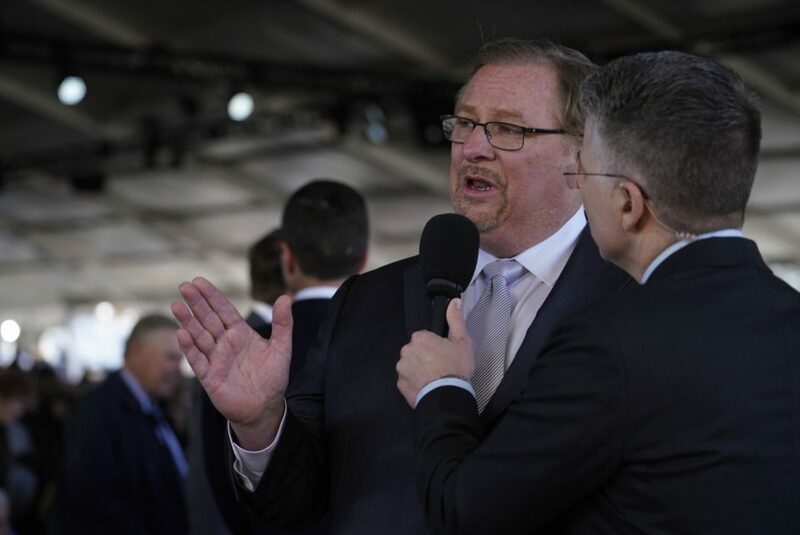 "You have had an impact on millions of lives," said Billy Kim, a former interpreter of Billy Graham in Korea. 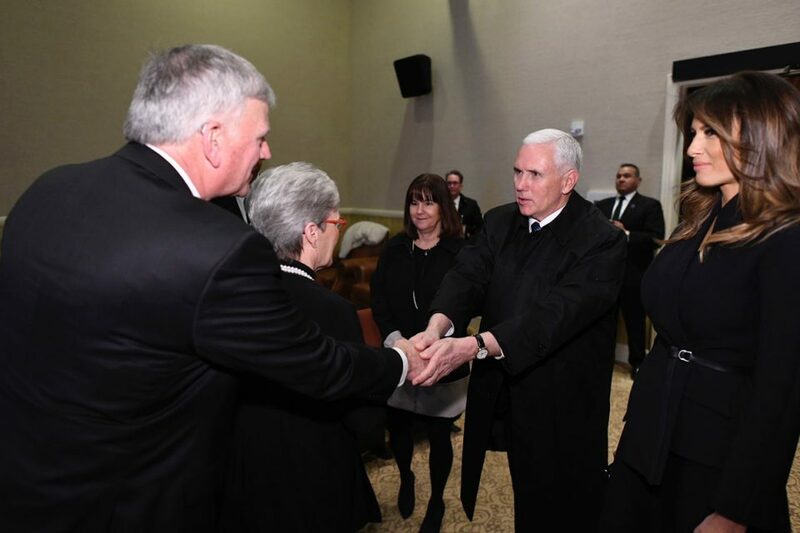 Vice President Mike Pence expresses his condolences to Franklin Graham. 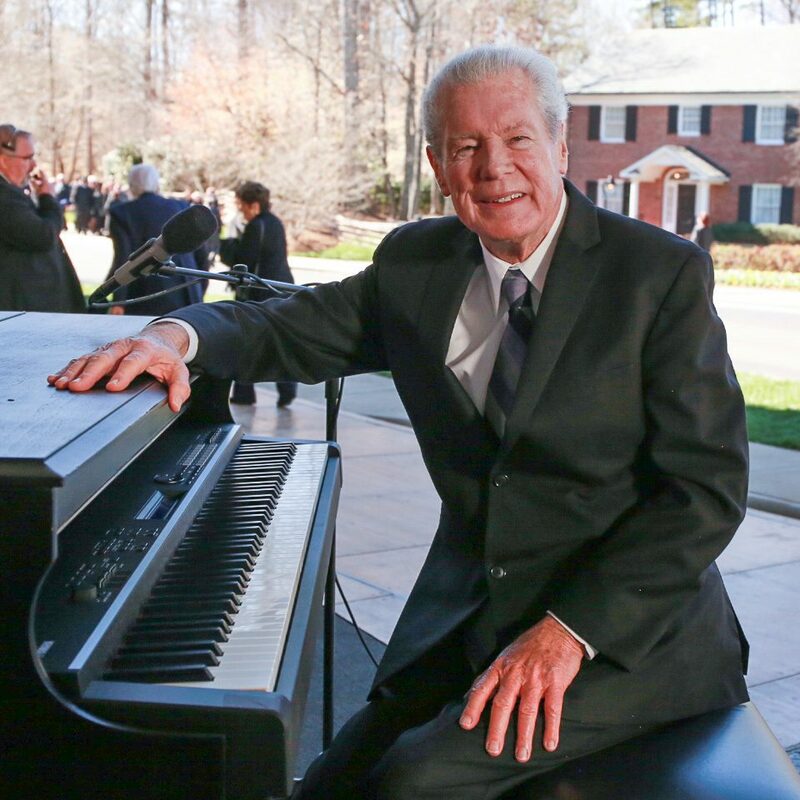 Longtime Crusade pianist John Innes played a medley of worship songs before the funeral. 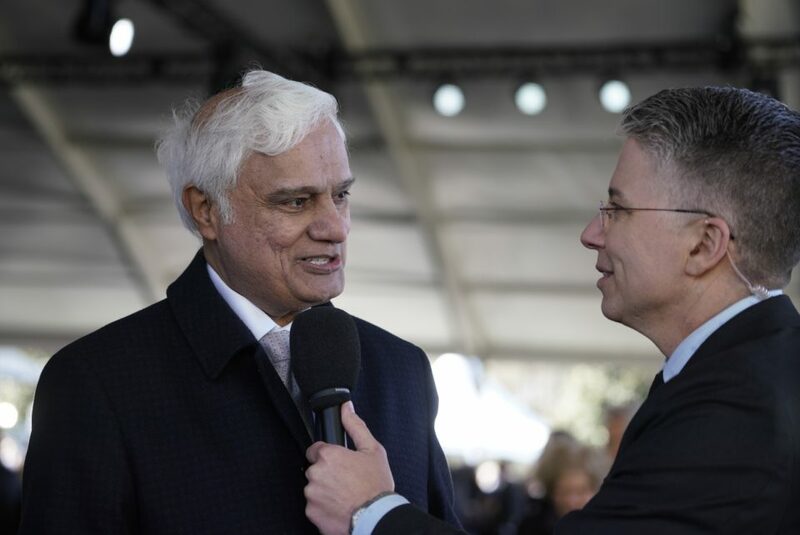 Christian apologist Ravi Zacharias shares how his ministry started due to Billy Graham requesting him to speak at a BGEA conference. “It opened up the globe to me. … He changed my life," Ravi said. 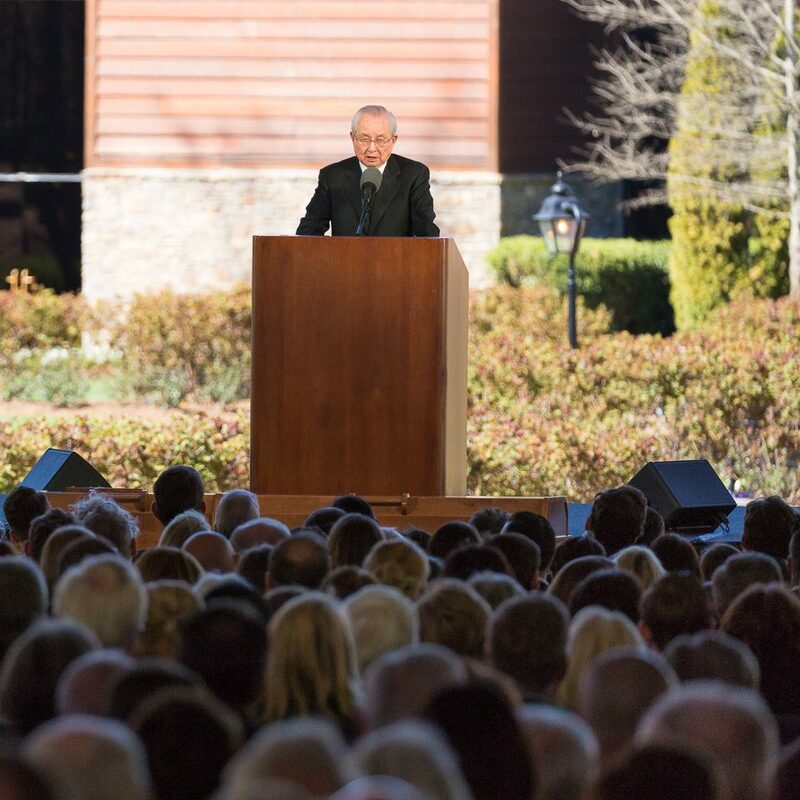 "The fact of the matter is he wanted this to be beyond one person because the message is greater than the instrument—the message of Christ." 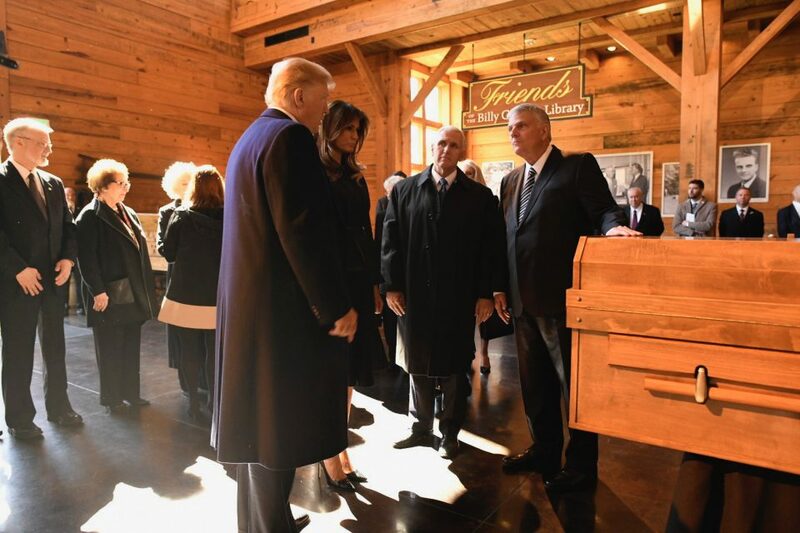 After hearing of Billy Graham's passing, President Trump sent his condolences to the Graham family. 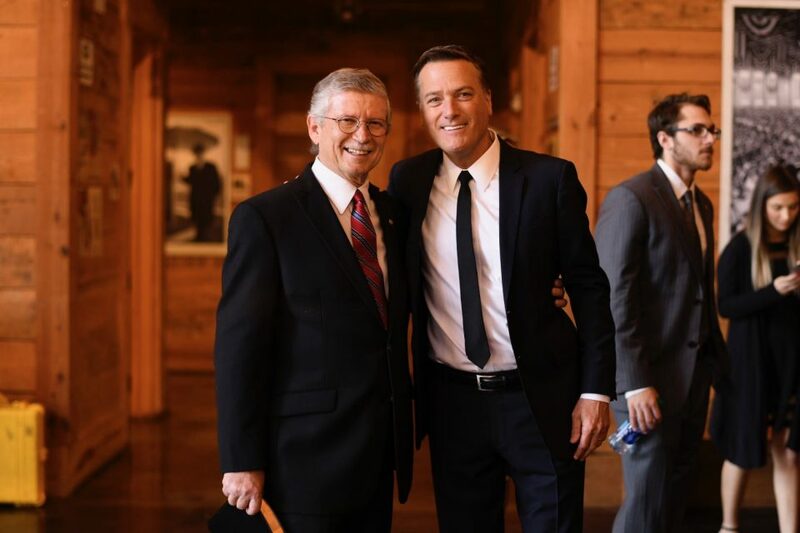 Dr. Don Wilton and Michael W. Smith, who participated in Mr. Graham's funeral and interment service, have both enjoyed the friendship of Billy Graham. 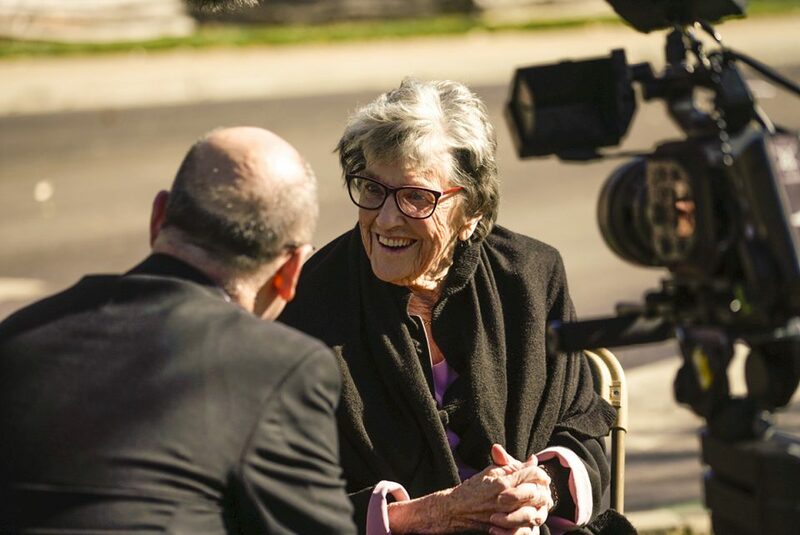 Dr. Wilton said at Mr. Graham's interment service: "Thank you, Mr. Graham. Thank you for teaching us. Thank you for showing us. Thank you for living this life out for us. Thank you for loving us."